After a disappointing outing against Bayern Munich, Barcelona are back to La Liga with an aim to take a step towards the domestic league. After elimination from the Copa del Rey at the hands of Real Madrid and an almost-elimination from the UEFA Champions League at the hands of Bayern, the only trophy left for the team to fight for is the domestic league ai??i?? quite a fall from the heights of winning the first 18 matches and drawing 1, and getting a better start than what Guardiola had got. Lionel Messi, certainly looked jaded and made it more evident that the team is highly dependent on him. Bayern Munich managed to secure a glorious win without the ugly bus-parking technique and showed the world another way to counter the Barcelona juggernaut. Of late more and more teams have deciphered the Catalan teamai??i? 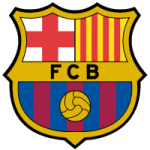 ?s meandering style and have prepared themselves to brace the onslaught and even take the attack to the brigade from the Camp Nou. Perhaps it is time either to get a Plan B or to take tiki-taka to the next level. Last time Bilbao and Barcelona met, the latter welcomed Bilbao at the Camp Nou. Barcelona scored 5 and Bilbao could find the back of the net only once. Pique, Messi (2), Adriano and Fabregas found the back of the net for Barca, whereas, Ibai found the solitary goal for the Bilbao. Barcelona will be without Puyol and Mascherano in this match and defense will be a headache for Vilanova. The return of Abidal might give Vilanova some options and this is the time when the 13-point lead will come handy. Montoya and Bartra might get some precious playing time and this is when they will have to show why the management should persist with them next season. Alba should be the final player in the defense. Midfield should ideally have Song and Alcantara. For Song too, these might be the matches to prove that he deserves his chance nextAi? ?season and should provide with the defensive screen over the fragile defense. Alcantara will definitely be the bright spot with his runs and through passes. His ability to drift away from players is praiseworthy and has great ball control. His long range shooting is an asset to the team and in years to come this skill should be honed. Finally Andres Iniesta is expected to mentor the other two in midfield. Xavi will get some much needed rest. Up front Lionel Messi will certainly not play due to the injury which might not have healed totally. In the absence of Messi, Fabregas and Villa are sure to start along with either Tello or Alexis. The business end of the season with a handsome margin often gives teams a chance to test their youth players and that is where Tello makes the cut. Although he is almost certain to be a first team player next season, Vilanova will still want him to go out and get some minutes under his belt. Probable Starting Line-up (4-3-3): Valdes; Montoya, Abidal, Bartra, Alba; Song, Alcantara, Iniesta; Villa, Fabregas, Tello. A team to be revered. However, this Bilbao isnai??i? 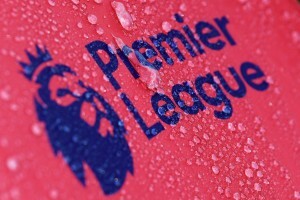 ?t the one that ruled the roost over Manchester United at Old Trafford last season. This Bilbao is far more docile and error-prone. With the departure of some of their major stars now on the horizon (Llorente, Muniain, et al), the end of an era looks imminent. Against Barcelona, Bilbao will be without Laporte, Ruiz and Perez due to injury and Iturraspe with suspension. The latterai??i? ?s loss will be crucial for the hosts. In defense, Iraola and Aurtenetxe are expected to man either side. In the middle, Gurpegi and Ekiza will protect the fortress. Behind them, Iraizoz will be under the three sticks. 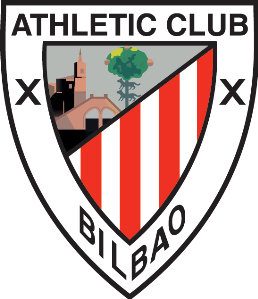 Bilbao are expected to have a double pivot comprising Jose and Ander. Ander Herrera is one of the brightest young talents and will play a key role in this game. His ability to push and pressurize the opposition is as good as they get. Llorente will start one of his last matches for Bilbao and assisting him will be the trio of Susaeta, Muniain and Marcos. The trio has the ability to torment the fragile Barca defense and with Llorente, they will have the cutting edge. Expect them to score past the Barca defense. Probable Starting Line-up (4-2-3-1):Ai? ?Iraizoz; Iraola, Gurpegi, Ekiza, Aurtenetxe; Ander, Jose; Susaeta, Muniain, Marcos; Llorente. Barcelona are undefeated in the last 19 matches against Bilbao. Barcelona have finally managed 3 consecutive clean sheets in the last 3 matches. If Barcelona win the match and Real Madrid lose the Madrid derby, the Catalans will win the domestic season, this week itself. After having secured a move to Juventus, next season, Llorente will want to leave Spain on a high and the opportunity to shine doesnai??i? ?t get any bigger than this. Expect a goal or two from the towering Spanish marksman. 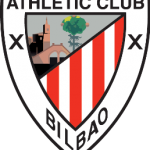 A win for Barca is likely but Athletic Bilbao will not give up without a fight. The trio of Susaeta, Muniain, Marcos, along with Llorente will certainly trouble the Barca defense.